3 Security Tips For Winterizing Your Home | Calgary Alarm Inc. There is more to winterizing your home than weatherstripping and cleaning your chimneys, although this is important, too! It is also imperative to consider the security aspect, which means protecting your home from the threat of a burglary, a fire, water damage and more. The good news is that it is possible to reduce these risks by putting a few preventative measures in place. 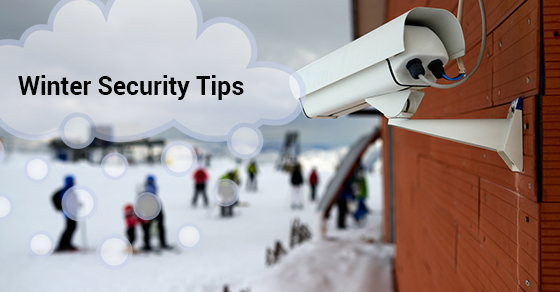 With that, here are three security tips for winterizing your vacation home. Vacant homes are easily targeted by burglars since they know you aren’t home to stop them. Studies show that having a monitored alarm system that is connected to an alarm company deters burglars by as much as half! The other half of this is also having a security camera in place, which also acts an additional deterrent for burglars. With a wireless IP security camera you will also have the added benefit of being able to monitor your vacation home from your computer or Smartphone while you are miles away, giving you the power to check in on your home whenever you want. While getting a monitored alarm system is a step in the right direction, arranging for your vacation home to be set up to a 24-hour monitoring system will take your level of security to the next level. In addition to monitoring your home for unauthorized access, a 24-hour monitoring system will notify you in the event that a fire breaks out, if water damage occurs or if other environmental damage occurs to your home. They will not only contact you, but they will send out a security officer to your home in addition to emergency services if deemed necessary. There are two main benefits to having this kind of service in place. First, risks are minimized since emergency help can be on its way much faster than if you had no idea that your home was on fire. Second, this service offers peace of mind, which is invaluable. Your second home is an asset and it only makes sense it is protected. Many burglars like to operate under the cloak of darkness, allowing them to enter homes without being detected. Installing motion sensor lights can make them think twice before stepping onto your property.